Research Application: Immunology and Inflammation Research, Cancer Research. The Irf3 deficient mice were created by replacing a 2.2 kb region of Irf3 containing a putative transcription initiation site and the coding N-terminal region of the DNA binding domain. The analysis of MEFs demonstrated loss of Irf3 protein. 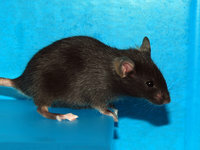 Homozygous null mice are more susceptible to viral infection such as encephalomyocarditis virus and exhibit lower serum interferon levels in response to viral infection, indicating incapability of the mutant to respond against viral infection. 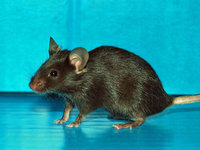 A series of Irfs-KO mice have been deposited by Dr. T Taniguchi to the RIKEN BRC. Reference: Sato M. Immunity 13, 539-548, 2000. Honda K et al. Nature 434, 772-777, 2005.